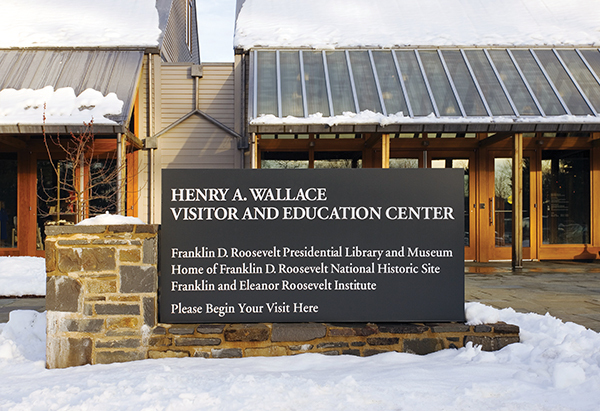 On Friday evening, November 15, 2013, the Franklin D. Roosevelt Presidential Library and Museum in Hyde Park, New York, will celebrate the 10th anniversary of the opening of the Henry A. Wallace Visitor and Education Center , designed by the firm, with a presentation by its lead architect, Frances Halsband, about the Center's design. C&G Partners' Jonathan Alger directed the permanent exhibits and environmental graphics program in 2003, with numerous sculptural elements that bolstered the interpretive programming. A WPA mural from FDR's second term – depicting Roosevelt's Hyde Park estate and its environs – was commissioned as a floor mural comprised of thousands of marble fragments, designed by artisanal craftsmen in Italy. 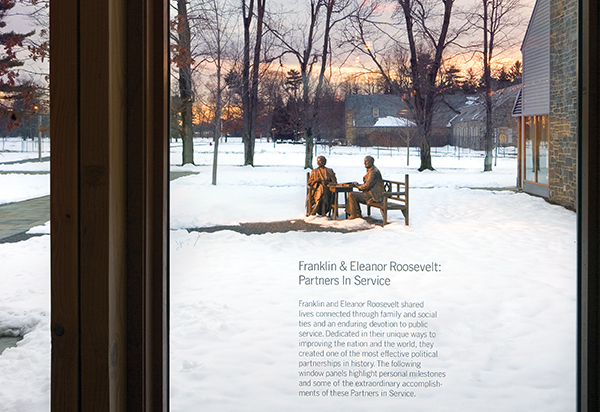 The firm also commissioned Brooklyn's Studio EIS to sculpt the detailed bronze sculptures of the President and Mrs. Roosevelt that greet visitors casually from a bench on the Visitor Center grounds. One of the Hyde Park site's most popular "photo ops", the bronzes seem to have aged barely a day over the last ten years. 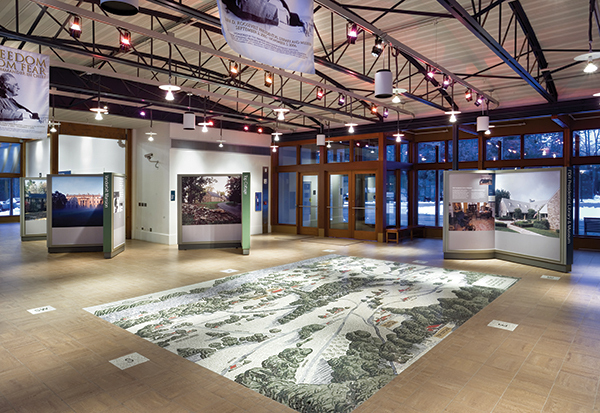 We congratulate the Center on its anniversary, and are thrilled that our exhibit programs have stood the test of time at this robustly visited National Park Service Destination.